The North Florida Land Trust is moving its headquarters from Riverside into the historic Brewster Hospital in Jacksonville’s LaVilla neighborhood. The land conservation nonprofit Thursday cut the ribbon on the two-story building at the corner of Monroe and Davis streets, which once housed the city’s first African-American hospital and nursing school. Land Trust President Jim McCarthy said acquiring the property fits his organization's mission to protect natural resources and historic places. The building, originally a private residence built in 1885, became Brewster Hospital at the turn of the century. From around 1901 until the Civil Rights Act of 1964, it was the only hospital in Jacksonville where African-American were able to practice. The historic Brewster Hospital is at the corner of Monroe & Davis streets in LaVilla. “So at one point, I believe as recently as 5-years-ago, every elected official who was an African-American was born or had some connection to this hospital,” said McCarthy, as he discussed the building’s historical significance to the more than dozen people at the ribbon cutting ceremony. Among them was 86-year-old Doretha Brown, who graduated from Brewster Hospital’s nursing program in 1953. She said students came from all over the country. “Brewster Hospital was the first black hospital that had training for black nurses who wanted to become nurses, other than teachers,” she said. Brewster Hospital closed in 1966 and was listed in the National Register of Historic place in 1976. In 2007, the city did extensive renovations to the building. The Land Trust will lease the 5,700-square-foot building from the City of Jacksonville, after outgrowing its 1,300-square-foot Riverside office. Renovating Brewster Hospital cost about $541,000. The city contributed about $150,000. The nonprofit turned the second floor and much of the first floor into office space. It also designated a room as a memorial to the history of Brewster Hospital, where living nurses like Brown can meet and store artifacts they may have. The Land Trust is set to move in on April 19. Corrected 7/24: This story was corrected to clarify that the hospital operated in the building for only about a decade. The original version of this story incorrectly stated that the building housed the hospital from 1855 until 1964. We regret the error. 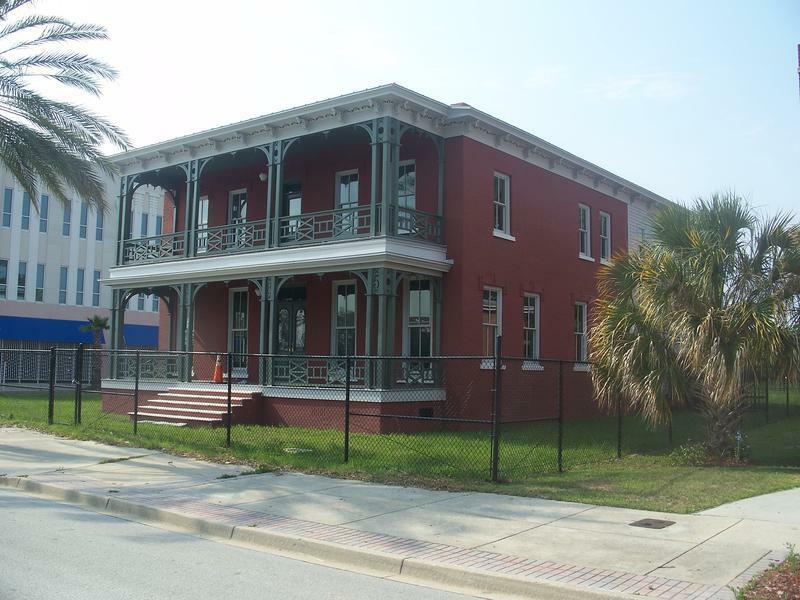 Historic Brewster Hospital in Jacksonville’s LaVilla neighborhood could soon become the North Florida Land Trust’s new headquarters. The North Florida Land Trust Friday handed over ownership of a Spanish-American War Fort in Jacksonville to the National Park Service.